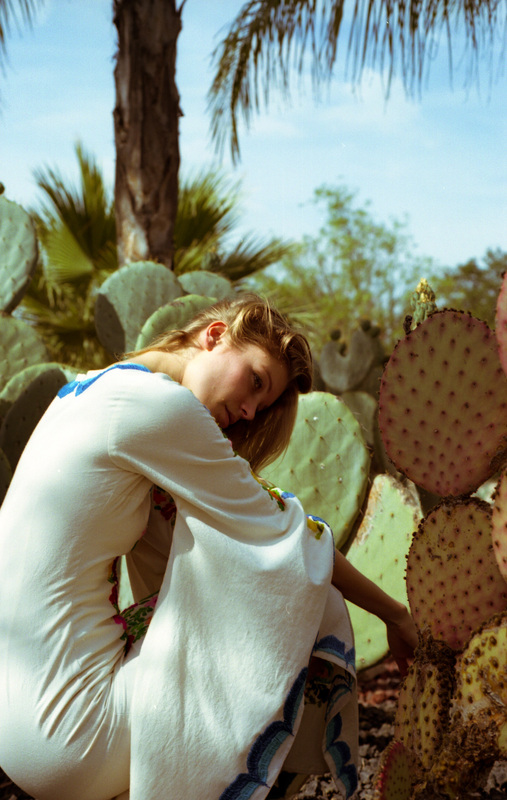 The meaning behind the Summer of Love Lookbook holds such a pivotal place in our journey. It happens to be our summer of love! After 11 years of of togetherness, exploration and growth, we have found ourselves in our dream city of San Francisco. Where we have always told everyone we wanted to live one day– and it manifested just months prior to our wedding date! Its a beautiful whirlwind and we have found ourselves in the midst of it. The city has become the ying to our yang. We have spent several months living in the desert and became used to the vastness and the quiet time for reflection and creation. It was during our time in the high desert where I started to dream up my wedding dress. I also wanted the dress to resonate with New Crop’s manifesto, of supporting creative independence while preserving culture. And then it came to fruition, all the elements manifested into what we know now as our Woodstock Caftans! 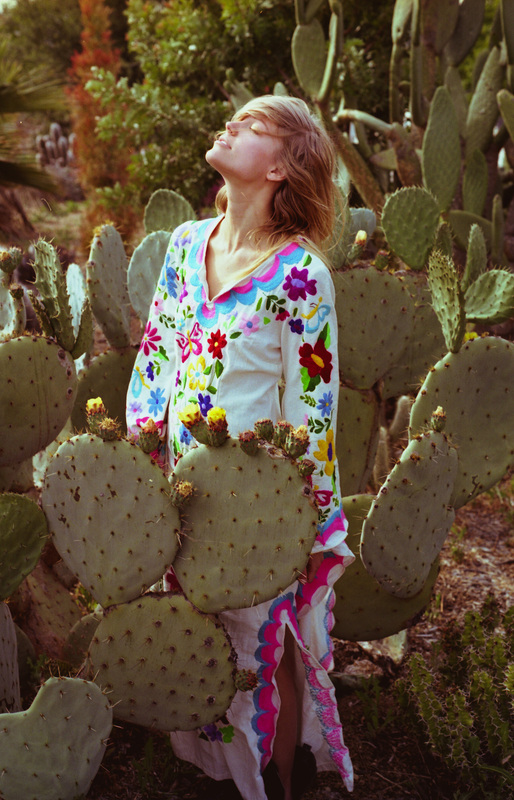 It is co-created with a family in San Miguel de Allende, Mexico where mastery of embroidery has been long passed down for generations in their area. Through history of their folk art they have always specialized in the symbolism behind florals and birds! When I came to them with this design- and the first dress was made, I knew instantly a new labor of co-creation for New Crop has been born. 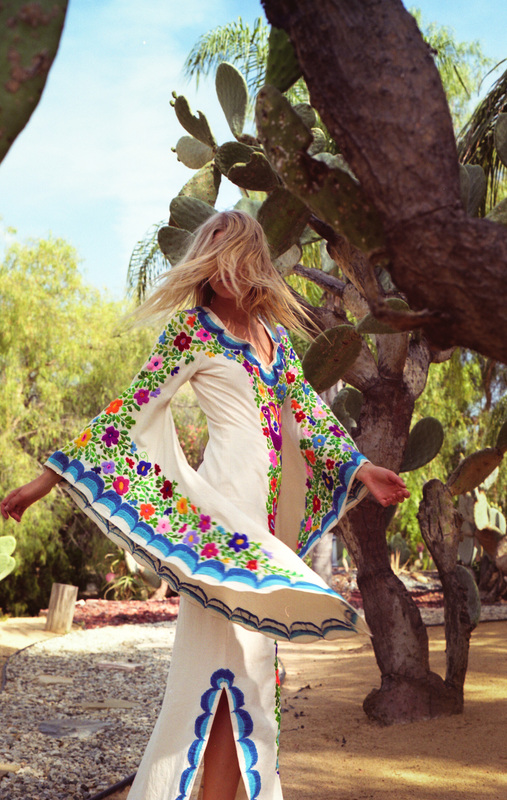 These Woodstock Caftans has been adorning bohemian goddesses ever since. From bohemian brides, festival fairies, textile collectors, musicians and artists, this piece continues to co-create and take you to a journey through the Summer of Love.